The wife of the Edo State Governor, Mrs Betsy Obaseki is collaborating with stakeholders in the health sector to reduce the death of neonates (babies between 0- 28 days old) in the state. 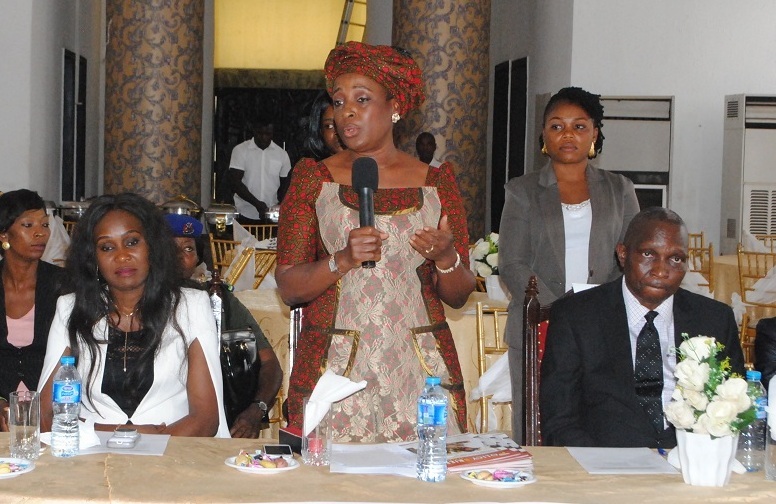 Speaking during a stakeholders’ meeting on the prevention of neonatal deaths in the state, organised in Benin City on Monday, Mrs. Obaseki said that more collaborations are needed to strengthen the country’s health sector. She assured that she would continue to partner with other stakeholders to implement the Essential New-born Care Cost (ENCC), an initiative of the federal government launched in 2016, that is geared towards reduction of neonatal deaths in the country. The First Lady urged stakeholders to take the collaboration seriously and bring in their wealth of experience to ensure that the ENCC initiative succeeds in the state. Delivering his speech, Dr Ikechukwu Okonwko, a Consultant Paediatrician and Neonatologist at the University of Benin Teaching Hospital (UBTH), said that a nation that does not take care of her new-borns does not care about her future. Okonkwo lamented that Nigeria ranks second and first in infant mortality in the world and Africa respectively, noting that all stakeholders need to rise up to remedy the situation. He said that current research showed that lack of skilled personnel to take birth deliveries in Sub-Saharan Africa contributes to neonatal deaths, calling for training of more healthcare personnel, especially birth attendants in rural areas. Earlier, Mrs Bridget Okoeguale, a facilitator of ENCC initiative in Edo State, attributed the high rate of infant mortality in the country to lack of implementation of health policies. Okoeguale said the aim of the stakeholders’ meeting was to come up with working plans on training of more health personnel on the implementation of ENCC as the state has only 11 health personnel trained on the initiative. She said that a baseline survey on neonatal deaths in Edo would also be conducted as part of implementation of the initiative in the state. The stakeholders were drawn from secondary and tertiary health institutions in the state, the Nigerian Medical Association, association of nurses, ministries of health and local government and chieftaincy affairs, the World Health Organisation (WHO), among others.